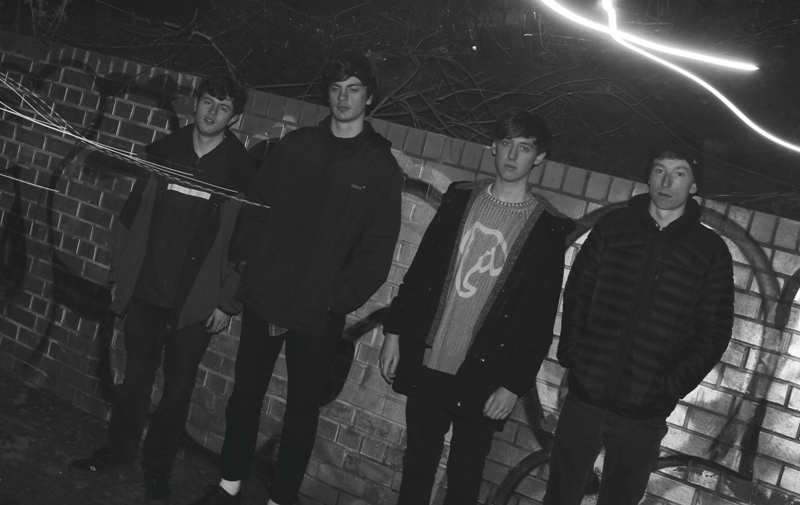 Since forming in late 2014, Newcastle quartet Mongeese have been quietly honing their sound while garnering a dedicated local following with their dynamic live shows. Consisting of James Curry on vocals, Barney McQuade on guitar, Michael Anderson on bass and Robert Law on drums, Mongeese meticulously blend elements from several genres, experimenting with jazz chords, ambient soundscapes and off-kilter time signatures to create a progressive sound that is laden with lush textures. Towards the end of 2016 the band went into hibernation to record new material, the first release being The Shores Breathe which we premiere exclusively today, and which Mongeese will officially launch on Friday 17th March at Jumpin’ Jacks, Newcastle. The Shores Breathe is an exquisite effort: reverb-soaked, soporific chords explode into driving rhythms, and while the track still employs the mathy elements of Mongeese’s sound, it’s poppier and more accessible than their previous offerings. In short, it’s a huge, soaring slice of alt-pop, helped along by Curry’s intense vocals which range from quietly delicate to urgent and bursting with passion. It’s an impressive demonstration of just how much Mongeese have progressed as a band, and well worth more than a few listens. How was the recording of the new single? Barney McQuade: Recording it was a lengthy process. We were lucky enough to score some free time at Blast Studios when Rob and I took part in a free course run by T.I.C.E/ Generator. We got the drums down there in about half an hour and then made many many trips to various unis and colleges to record guitars and vocals. There were quite a lot of points where we just scrapped a day’s work which can be frustrating, but we’re all happy with the outcome so it was worth it. Our pal Alex Greenup (of Transfigure, formerly of Schultz) mixed the track and was very responsive to our pickiness and got it sounding great. Phil Begg of Midnight Doctors mastered the track for us. How would you describe The Shores Breathe yourself? Robert Law: In general, the song is just a massive sounding pop song. We’ve scaled back some of the ‘twiddliness’ and tried to focus on bigger melodic sections but without losing too much of the weirdness. Our upcoming songs are probably a little bit more sonically and harmonically extreme than this one. What influenced the new single lyrically? James Curry: Our song lyrics are traditionally more outside of the box and convey a more philosophical meaning, but with this one we chose to use a platform everyone can relate to, which is love, particularly the highs and frustrations associated with relationships. We always prefer our listeners to hear the lyrics and decipher their own meaning and see how it can relate to their life. What are Mongeese’s plans for the future? McQuade: In the near future, we have a few upcoming shows including The Tyne Bar for Evolution Emerging in May. We’ve recorded 4 drum tracks and plan to do the rest ourselves in the next few months once the single launch show is out of the way. We should have some more music to listen to before Evo – whether that’s singles or an EP is undecided at the minute. For our next launch show, we’re aiming to put together a more rounded audiovisual experience with projections and lighting etc to try to take things further. Mongeese launch The Shores Breathe at Jumpin’ Jacks on Friday 17th March. Entry is £4 on the door, with support from Okay Champ and Primitive Painters.